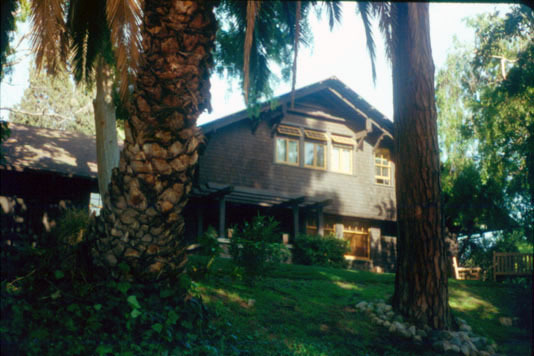 This 1908 Craftsman residence was designed by the firm of Eager & Eager for Ernest Bent, and later owned by his sister, Florence Bent-Halstead. The Bent brothers owned and operated one of the largest construction companies in Southern California, specializing in infrastructure improvements, including Devil’s Gate Dam in Pasadena, and the Sweetwater Dam in San Diego county. The home was used as three apartment units at the time it was declared a monument, but has since been restored to its original design, featuring a floor plan that is more reminiscent of a modern ranch-style home, far ahead of its time.